Elite ball-strikers who are highly ranked in Strokes Gained Tee-To-Green, Off-The-Tee, and Approach to take advantage of soft conditions. Long hitters off the tee who can take advantage of humid conditions that increases carry distance onto zoysia fairways without a lot of roll. Good putters, particularly on slower surfaces, but I will add this caveat from my discussion yesterday – do not use putting stats as gospel. There’s talk today that there are no root structures underneath the greens. The conditions of the putting surfaces could go downhill very quickly and turn it into a Chambers Bay situation. Those greens ran slow, but because they were in such bad shape it made it tough for everyone. If they get ugly on the weekend, it’ll shrink the advantage good putters have over poor putters. Jason Day & Brooks Koepka (20/1): To pull back the curtain, I was having a debate about which one I wanted to spotlight here at 20/1. After about 10 minutes of hemming and hawing about it, I decided why not just include both of them. 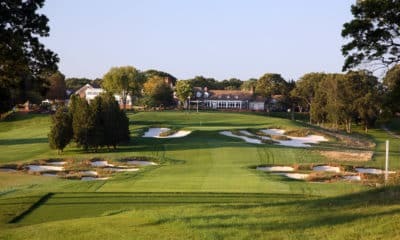 They have virtually identical profiles heading into the 2018 PGA Championship – dominant and long off the tee, struggled with their iron play in 2018 but possess the capability to be aggressive at pins and pepper soft greens. The good news for both is that each has been trending upwards with their approach shots of late. Jason Day posted 1.18 strokes gained on his approach shots at the Bridgestone, and after a poor showing in Canada, Koepka rebounded in Akron by posting 1.48 strokes gained on approach. Their length off the tee will allow them to pull shorter irons to go flag hunting. If they hit their irons at Bellerive as well as they did in Akron, then they’ll have great looks for birdies all weekend, and there’s not a lot of guys better from inside 10 feet in big spots than them. Jon Rahm (25/1): I always pictured Jon Rahm to break through for his first major victory at a PGA Championship. Not only do the setups at a PGA Championship invite a bomber like him to overpower a course and go low, there’s not a whole lot of tricks that these types of courses have to fluster him. Rahm’s kryptonite has been his inability to control his temper and not let things snowball during adversity, and when he gets down on himself he plummets down the leaderboard. Whether it be an unlucky bounce or a lip-out putt, his emotions often get the best of him. The good news about Bellerive is that the golf course is relatively simple in terms of strategy. Most holes, particularly off the tee, only have one line to aim at. For him, it’ll come down to his focus on where he needs to hit the ball and allow his supreme talent to execute the shot. There won’t be anything out there that will frustrate him and knock him off his rocker. Where I could see him having a problem is if the greens turn ugly and he misses a few short 4 or 5 footers to put him on tilt. But if he’s feeling it with his putter then he’s the prototype golfer I envision winning at Bellerive. At 25/1, I’m willing to take a shot that his talent will prevail over his temper. Tommy Fleetwood (28/1): Is this the week Fleetwood can get over the hump? Fleetwood has found himself in contention at every major this year, but he faded on Sunday at both the Masters and Open Championship and was too-little-too-late in the U.S. Open. But when you think of a golfer that checks a lot of boxes of someone who can win the PGA Championship, he’s a strong candidate. On the season Fleetwood ranks 10th in Strokes Gained Tee-To-Green, 8th in Strokes Gained Off-The-Tee and 20th in driving distance. The one area where he’s been just ok is in his approach stats, but over his last four starts on the PGA Tour, he’s notched over a stroke gained on approach over the field, which is significantly higher than his season-long average. There’s a lot of buzz around him this week, but as one of the purest ball-strikers in the field, his price is too good to pass up at Bellerive. Patrick Reed (40/1): I’m not hearing a whole lot of buzz on Patrick Reed this week, but like Rahm, I always had thought if Reed was going to win a major it would come at a PGA Championship. Patrick Reed has historically played better in soft conditions and at courses that yield lots of birdies where his aggressive style allows him to fire at pins. That was part of the reason why he was able to go so low at Augusta after rains softened the course Friday and Saturday to help him capture his first major there instead. Yesterday I downplayed some speculation from experts like Brandel Chamblee that claimed Bellerive would only accommodate golfers who hit the ball right to left. But in case they’re right, Patrick Reed’s most natural and preferred shot shape is a draw. While statistically he hasn’t been lighting it up of late, I see a path forward given the way the golf course is set up and how the rains will impact scoring that leads to his second major title. Justin Rose (20/1): I was all ready to pound 20/1 on Justin Rose as he checks a lot of boxes for me this week, but he pulled out of the WGC Bridgestone with back spasms. Rose has dealt with back trouble throughout his career (like most of Sean Foley’s students), so this puts a lot of cold water on what was a really hot stretch of golf for him. The injury makes me weary to bet him, but if you believe that he pulled out of Akron only for precaution then he’s worth consideration to placing your bet on. I might see how he gets through Round 1, and if he comes out of it ok I may look to live-bet him. Patrick Cantlay and Tony Finau (40/1): Both of them are on a lot of “sleepers” lists this week, which is foolish because when everyone has the same sleeper then, well, they’re not a sleeper. But I’m putting them here anyway because each of them is elite ball-strikers and should take advantage of soft conditions at Bellerive. I got them at prices much lower than this to win the PGA Championship, and 40/1 is not a value for either given the only two wins between them are the Shriners Children’s Hospital Open and the Puerto Rico Open. Nevertheless, each of them fit the mold to a T of the type of golfer I see holding the trophy on Sunday. Paul Casey (55/1): The heat is finally off to where the price on Paul Casey is much more reasonable than where it was offered for other majors. If you liked him at the Masters at 25/1, though, you should like him just as much at a reduced price. Casey is still one of the best ball-strikers in the game, as he ranks 7th in Strokes Gained-Approach and 18th Tee-To-Green on the year. 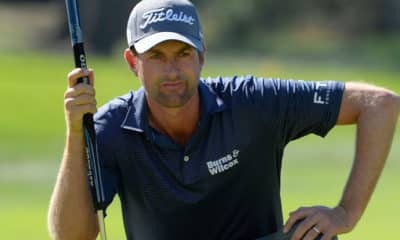 He disappointed a bit at The Bridgestone and he’ll need to be better off the tee than he has been of late, but he possesses all the skills to win a PGA Championship. 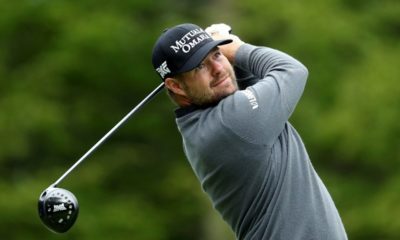 Marc Leishman (55/1): Leishman’s weakness all year has been his statistics off the tee, but over his last few tournaments he’s improved in this area. Over his last three tournaments, Leishman’s averaged 0.4 strokes gained off the tee, which doesn’t seem like a lot but it’s a significant improvement from where he was at the beginning of 2018. I liked Leishman at the Open Championship and he started 4 under through 8 before hitting the wall and fading. I’ll go back to the well on him again and hope his recent performance off the tee can match how well he’s struck his irons all year long. But wait, what about Justin Thomas, Rory McIlroy, and Dustin Johnson? Hey, I love all three of them. 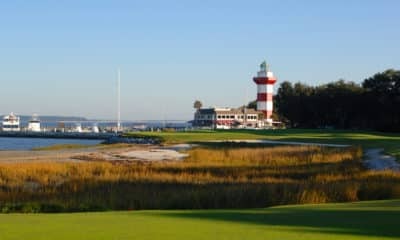 They are literally the perfect golfer this week with how long they are off the tee and how aggressive they can be with their approach shots into soft, receptive greens. But this is a gambling website and just because I like someone’s talent or fit at a golf course doesn’t mean I like their odds to bet them. 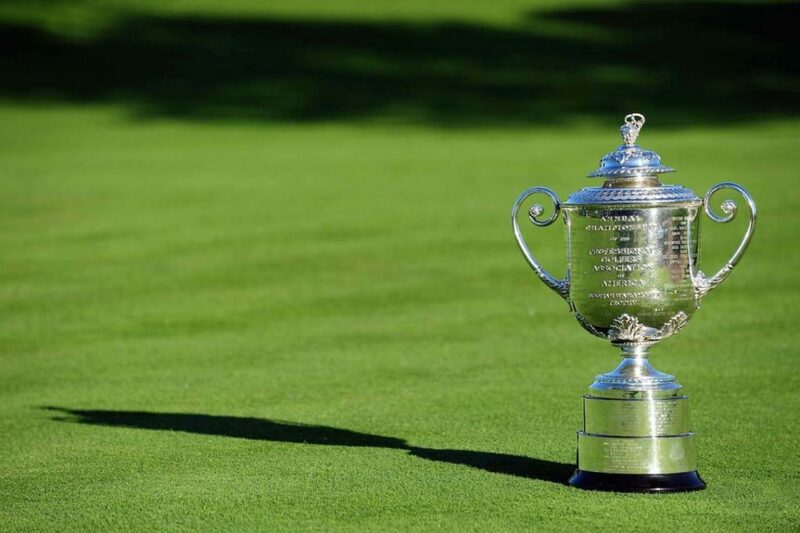 Dustin Johnson is 8/1 to win the PGA Championship, and Justin Thomas and Rory McIlroy are all under 15/1 depending on what book you look at. That is bad value no matter how well they’re playing heading into the event. When looking at the overall spectrum of golfers I can see holding the trophy on Sunday, I much prefer the value of the guys I listed above at much lower odds than putting down a lot of capital for little return on these three. That’s doesn’t mean at all that I don’t think they’ll win. And I would certainly recommend targeting them on matchup props or in DraftKings. But unless any of their odds dip below 15/1 before Thursday, I won’t be putting down a bet on them to win the tournament.